On Thursday, October 18th, starting at 4pm, join us for a sequel of epic proportions. The board-breaking celebration of the Muscles from Brussels birthday returns, and this time it’s personal! 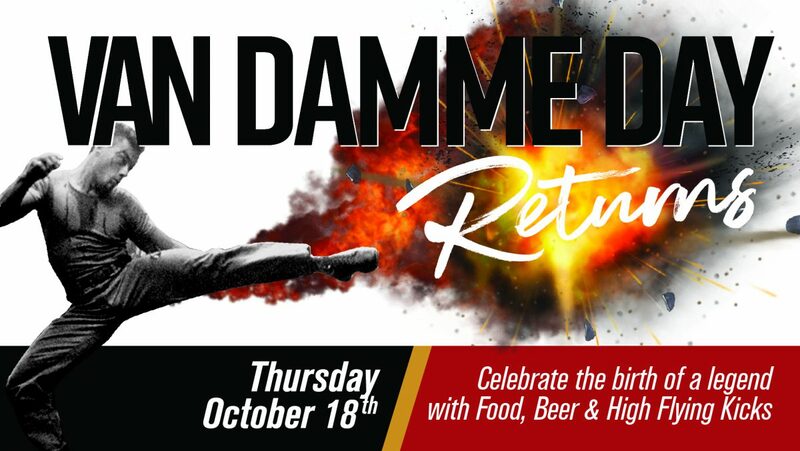 This FREE event will have all the high-flying excitement you expect, including food & beer specials, Van Damme film showcases and some surprises hidden in our black belts. Come help us toast the most glorious Belgian (maybe human) in the history of mankind, as we celebrate Van Damme Day, Part 2!